For patients in Bonita Springs, Estero, and throughout Southwest Florida, Pelican Landing Dental offers high-quality dental services in a comfortable, family-friendly office. Our team of expert dentists offers a full range of high quality dental services in one convenient location. Our gentle, knowledgeable dentists and team will make you feel right at home from the moment you arrive. From preventive dentistry to advanced dental implant supported tooth replacement, we offer the comprehensive dental services you need. Yet, our team will never push you to choose treatments you don’t feel 100% confident in. If you’re looking for honest, personalized dental treatment for every generation of your family, contact Pelican Landing Dental to schedule your first appointment. We also welcome patients who are experiencing dental emergencies and will do our utmost to see you right away. 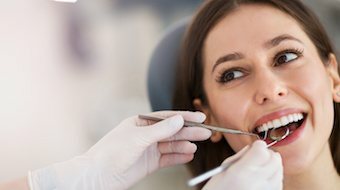 A very thorough exam of your teeth, gums, and overall oral health, in conjunction with a meticulous cleaning, allows for early diagnosis and often complete prevention of dental problems. This high quality care enables our patients to be proactive and avoid potential painful and expensive future dental work. During your first visit, we spend time to just talk. After learning your goals and preferences, we personalize your experience by partnering with you to develop a treatment plan, if necessary. We’ll take the time to answer your questions, explain your treatment options, and choose a plan that meets your unique needs, budget and schedule. Our team doesn’t use confusing dental jargon, nor do we up-sell services. 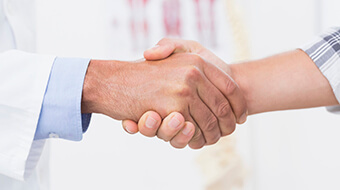 Quickly you’ll learn our doctors have your best interests at heart. Just like having a close friend, who happens to be an expert in modern dentistry. We’ve completed countless hours of continuing education to have the skills necessary to provide superior dental care. We know how unpleasant it is to visit a dental practice where the team never learns your name or runs on time. At Pelican Landing Dental, we do things differently. We have built a large enough team of highly qualified and friendly staff members to ensure you receive the personal attention necessary for great customer service.